Thank Your DVD Collection This Cold Day! 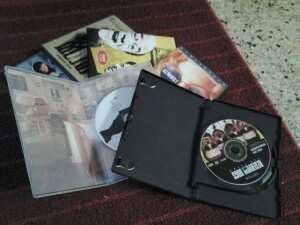 You are here: The Presentation Packaging Experts > Our Blog > CD/DVD Packaging > Thank Your DVD Collection This Cold Day! At Sunrise Packaging, and the rest of Minnesota, we are experiencing record low temperatures in almost 20 years! And it is days like today when people are stuck inside that they take an extra special look at their DVD collections to pass the time. Sure, Netflix and other sources are great entertainers, but your own DVD, even VHS collection comes with a dose of nostalgia. After all, these are the movies and tv series that were chosen for you or by you. Looking through my collection, I noticed that in the variety of DVDs, the cases vary as much as the disc. All injection molded cases, I have multi disc cases with flip trays, slim cases in black and clear, and of course single disc black cases.